The women economic development in Pakistan has been quite ignored over the years. Most of the programs/interventions have been directed towards removing violence against women, women’s primary education and health care, and women crisis centers. Despite governmental commitment and donors efforts to reduce gender inequalities, nothing has been done with regards to developing proper women economic action plan to uplift women socio-economic status. 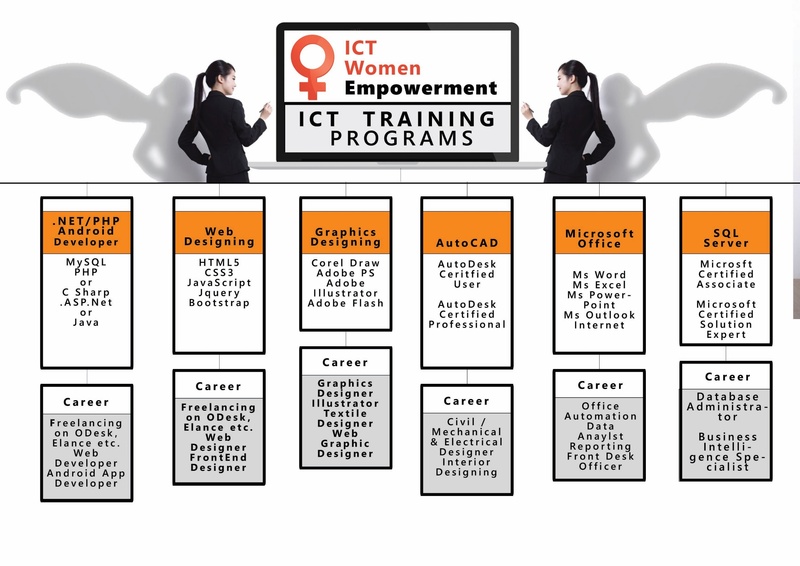 ICT Trainings has always been a great protagonist when it comes to enabling Pakistani Women. For last few years, we’ve already cultivated multiple training options that can lead women to either become self-employed or join a respectful ‘technology-oriented’ career path.